Olivia graduated year 12 in 2016 at Mackillop Catholic College on the Central Coast. She then began her studies at Passmores Business College in December 2016 completing a Diploma in Business and Professional Administration. Olivia undertook part-time work experience at Walker Law Group halfway through her course as well as working at a Family Law firm in North Sydney. 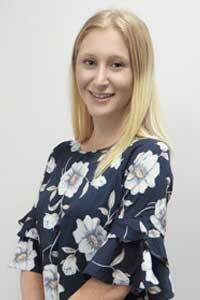 Olivia is now full-time at Walker Law Group and is heavily passionate about gaining the skills and experience to work in the corporate world. She has a bubbly and easygoing personality, which helps her build relationships with the clients. Olivia is interested in going to the beach and hanging out with friends on the weekends.